Do you want to turn your mobile phone screen into an image? Now it's easy to save a screenshot image of your iPhone, iPad or the iPod Touch screen and preserve it forever. Windows or Mac computers come with screen capture apps that are not available for your iOS device but actually there is no need to install any such apps on your iPhones because the screen capture functionality is built right into your device. 1. Press and hold the Home button which is located at the bottom center of your device (the button you often use to exit the app and return to the home screen). 2. 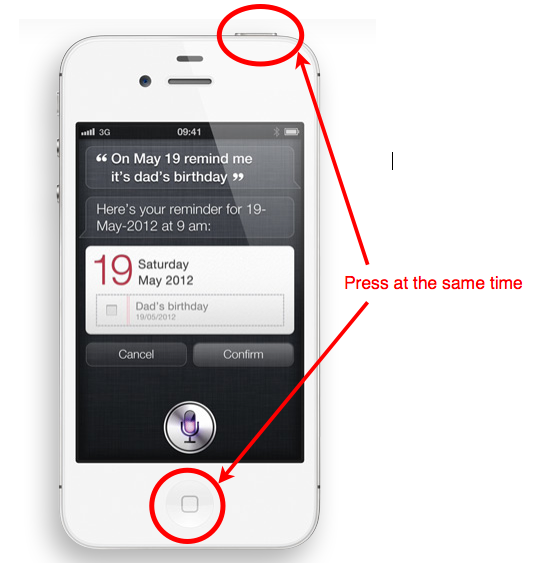 While the home button is held down, press the Sleep (or Wake) button that is located on the opposite edge of your phone. The screen will flash for a moment, you will also hear a click sound and the content of the current screen on your iOS device will be saved as a new image in the Photo Gallery. You can also use the same key combination to reset your iPhone by pressing and holding the Home button and the Sleep/Wake button simultaneously for at least 10 seconds.